It’s no secret that Rojo Robin has a fondness for children’s books old and new, well that’s probably an understatement – we love them! The illustrations, the stories and the way reading old favourites again can cast you back in time to when you asked for the same book to be read over and over again each night before bed. 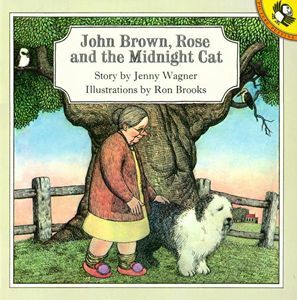 John Brown, Rose and the Midnight Cat was a favourite for many years, it’s a lovely story about Rose and her dog John Brown – and how things start to change when a mysterious cat starts appearing in the garden. The first of many Rojo Robin recommendations methinks!